Prefabricated steel buildings are used for various conventional purposes including manufacturing, business, commercial and agricultural facilities.Probably unknown to many, there are already various contemporary applications for steel findings that are truly amazing. 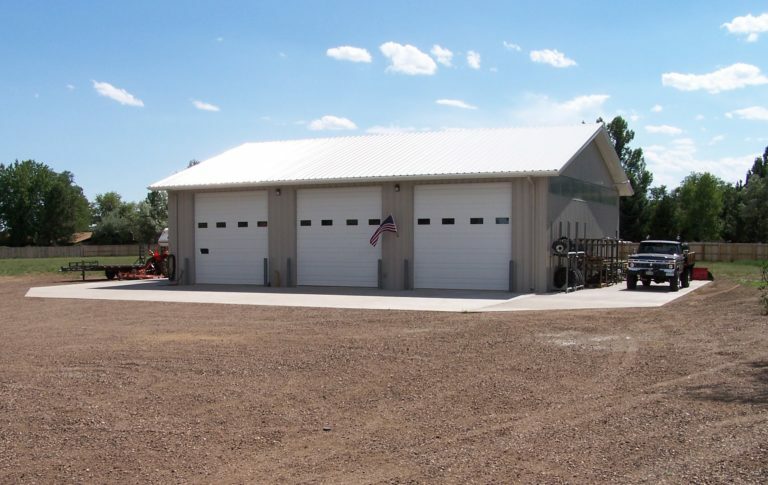 Steel buildings are heavy-duty structures that can be used for homes and businesses. Some individuals use them for storage while others use them to benefit other people. Whether you’re a business manager, an entrepreneur or an ordinary homeowners, chances are you are going to need an extra space at some point in your life. It could be a much-needed space for your hobbies, home job or for simple storage. Prefabricated steel buildings will worth your investment. Conventional brick and mortar or wooden styles are great options, but they can be costly and time-consuming to build. Steel buildings meanwhile will only take less construction time than other building types. Not to mention, they are relatively cheaper and at the same time exceedingly durable and long lasting. 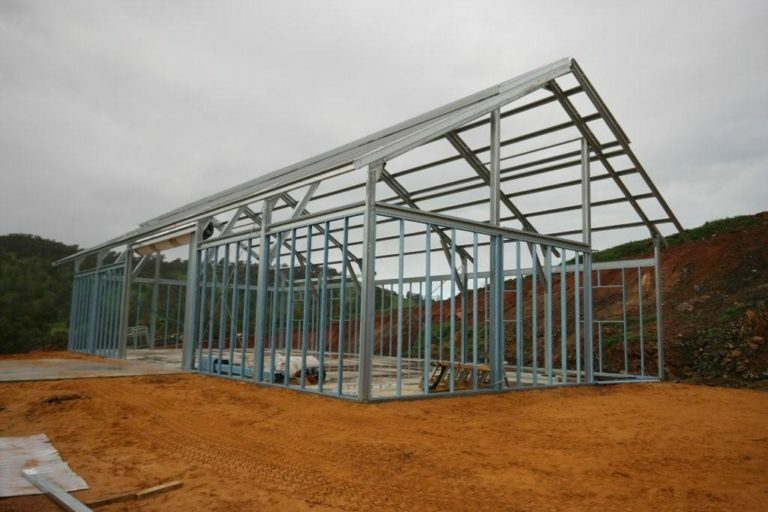 Steel buildings are usually built on a concrete slab while their frames are anchored in the concrete. They are then wrapped with metal sheeting on the outside and depending on their size and type, they are more likely insulated using another layer of sheet metal on the inside. A lot of school administrators nowadays recognize the benefits of using prefabricated steel buildings. First, the construction of school made from steel only require a fraction of the time it would normally take to complete traditional structures. The fast erection thus only has less impact on the annual school calendars. Secondly, the school council saves on labor cost as it only requires few helping hands. A lot of churches and temples only have a limited budget for construction projects as much of their funds are used to better serve the congregation and community. They are fast to acknowledge that it costs more to build structures from traditional construction methods such as the use of wood, concrete or brick. 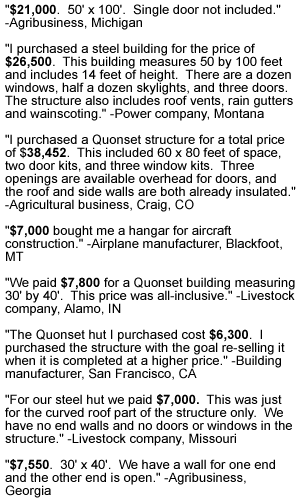 No wonder many of them are big proponents of steel building construction. Since pre-engineered steel buildings only use bolts to join them together for quick assembly, a number of churches and temples with larger congregations usually prefer to install their structures on their own. Some parishioners who have basic carpentry skills also work together to build the church to lessen worksite overheads. Auto shops enjoy the benefits that an all-steel building system brings. Auto and truck businesses are liking the fact that they can add upper floors on their buildings to store auto parts on a vertical orientation instead of a costlier horizontal storage. This system enables an unnecessary overhead space to be functional without requiring a bigger and more expensive arrangement. Prefabricated steel building is also becoming a more preferred choice for restaurants and entertainment centers primarily because of the open-wide space that a rigid I-Beam structure offers. The absence of interior supports results in a clear span that allows for utmost space application. The unobstructed floor spacing is particularly important for entertainment purposes, eating, dancing and hosting big events. A simple steel garage building with a roll-up door and lean-to-wall for a wash bay could be easily transformed into an auto detailing shop. Prefabricated steel buildings with open end walls are favored amongst landscaping businesses for storing their equipment and materials including much or sod. Many businesses from various sectors are choosing steel buildings due to their flexibility and affordability. Prefabricated steel buildings are regarded a perfect solution in storing inflatable party applications that are often being rented out to schools, churches, and private organizations and individuals when not in use. Steel structures are usually pre-customized to provide a full-scale and premium quality indoor daycare center for pets especially in areas with cold winter or hot summer climates. Steel buildings make a great kennel especially if you have many pets. They also provide a much-needed place for the valued animals to eat. A steel building kennel can also be used to rescue animals. Prefab buildings are a perfect solution for those looking for a place to put their green thumb to use since they are more durable and far stronger that wood. They are also able to withstand natural elements much better and hence you are assured that your indoor garden is safe even from predators. A robust e-commerce is without a doubt driving demand for warehouse services and participating businesses prefer to store their wares in a steel building. Fitness centers built through steel are sprouting like mushrooms. This should not come as a surprise with Anytime Fitness the number two franchise opportunity in the U.S.
A woodshop either for personal or professional use could be everyone’s dream. All you need is an extra space to store all your supplies and of course a sturdy structure that will keep it safe from pests and combustible elements. Steel buildings can provide you that. Sports events dedicated for the youth are increasing in number elsewhere in the U.S. which in turn results in more sports merchandise stores. Prefabricated steel buildings are providing the space requirement for sports events and merchandise sales. Do you need an extra space for your keepsakes? Do you need a place to park your new auto? Or, are you looking at building that perfect man cave? Prefabricated steel buildings can be a great choice. 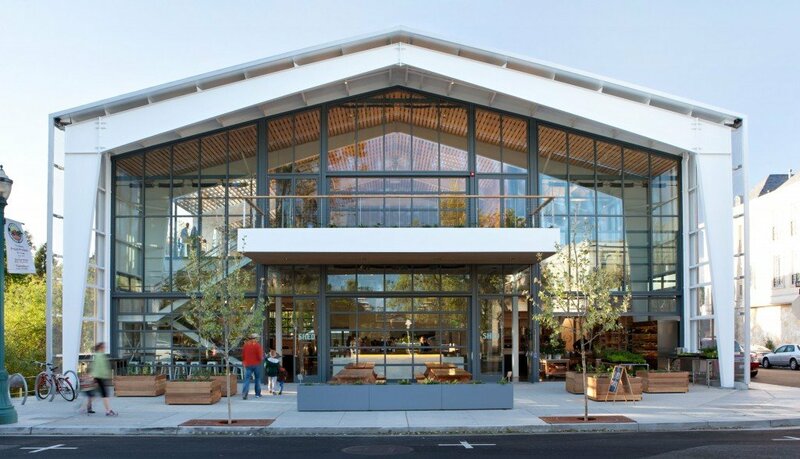 There are amazing uses for prefabricated steel buildings you may not have thought about. The things listed above are just a few examples but for sure you can think of other applications for this type of construction and steel buildings can provide you with the much-needed space to meet this goal.